The fight for justice, equality and freedom continues with you. Join the Movement! Yesterday’s issues demand today’s solutions. 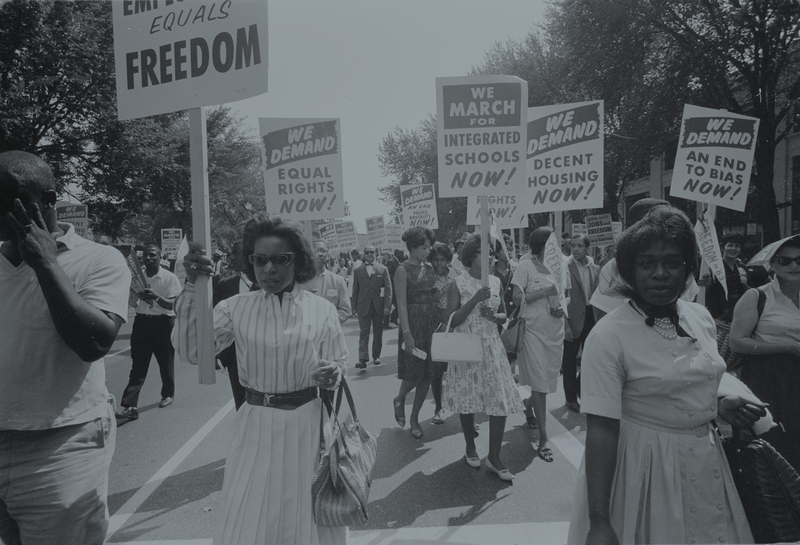 Visit the NEW museum and experience the expansive civil rights struggles and the significant progress made. Understand, that today, the struggles continue. Call (901) 521-9699 to make a donation by phone. …for helping to make Fiscal Year 2017 one to remember! We are pleased to share our annual report. Because of YOU, our attendance is on an upward trajectory with more and more people visiting the museum … traveling back in time to experience those moments of civil rights history. For accountability, transparency, and concrete results, the financial statements of the Lorraine Civil Rights Museum Foundation (dba the National Civil Rights Museum) as of June 30, 2014, were audited by other auditors whose report dated March 20, 2015. Click to see the financial statements. 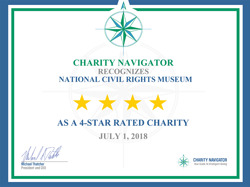 The National Civil Rights Museum attained the coveted 4-star rating by Charity Navigator for demonstrating strong financial health and commitment to accountability and transparency. 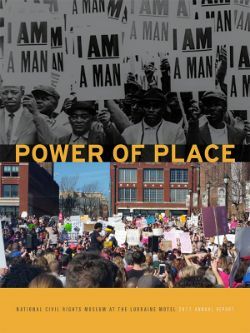 Attaining a 4-star rating verifies that National Civil Rights Museum exceeds industry standards and outperforms most charities in its area of work. This exceptional designation from Charity Navigator sets National Civil Rights Museum apart from its peers and demonstrates to the public its trustworthiness. Approximately only a quarter of rated charities have achieved this distinction! Recognize a loved one or community leader with a special brick in the courtyard of the Lorraine Motel. The endowment has been central to the museum’s growth. Our need for donor support is ongoing to ensure the work of the museum continues. 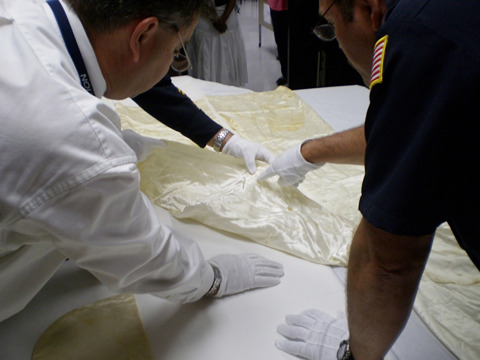 Assisting the museum during special events and as a museum representative can be rewarding and exciting. Your long-term gift to the museum will be your legacy for future generations to ensure the dream continues through planned giving. There are plenty of ways individuals and corporate entities can stay connected with the museum’s mission. Contact Bev Sakauye, Director of Development at (901) 521-9699, ext. 2251 or bsakauye@civilrightsmuseum.org for other options, or with questions. The museum appreciates generous donations and loans of archival materials, books, photographs, clothing/textiles, audio/visual items, fine art and historic objects.